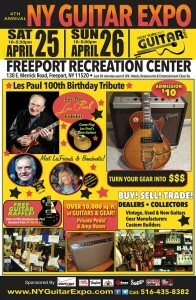 The 4th Annual NY Guitar Show will be held at the Freeport Recreation Center on April 25th and 26th. Admission for the event is $10 (children under 14 are $8 while those under 5 are admitted into the Expo for free). 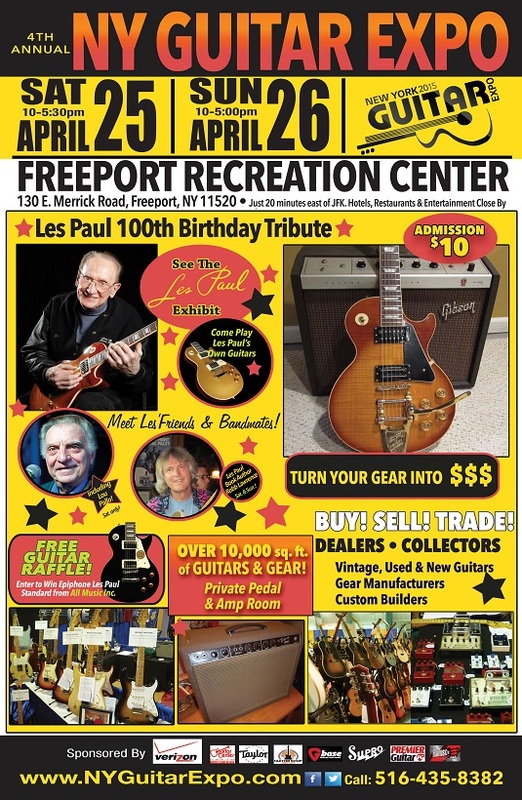 The Expo’s major attraction will be the Les Pal exhibit, with a number of pieces of ephemera including LP guitars, correspondence, and artifacts for attendees to view. Lou Pallo has been confirmed for the expo; the sheer amount of tales that he will be telling during his time at the Expo will include some of the most well-known and storied names in music. The Expo’s large number of retailers will be on hand to buy and sell guitars, pedals, amps, and other musical gear. The high-end as well as the more value priced sides of things mean that a wide array of attendees will be able to take home the axe of their dreams, or part with items gathering dust for some of the best prices in the area. While there will be some museum pieces exhibited at this expo, this is much more a hands-on experience than going to a museum. Individuals attending the 4th Annual NY Guitar Show will actually be able to pick up some of Les’s pieces or have a few minutes with different for-sale items before deciding whether they will walk off with a new piece. There is simply something for everyone at this Expo, and this experience is priced at a level that anyone from young to old should be able to attend and enjoy. For more information about the 4th Annual NY Guitar Show, visit the Expo’s domain at http://www.nyguitarexpo.com/ . Additional news and information can be located at the Expo’s Facebook.